Not long after the end of the first day’s conclusion of MCM London, Universal Pictures announced more details on their 2017 release slate. We knew that they had a fair amount of titles beforehand but now they will finally be seeing a release. Starting off with the first season of STARMYU which will be released on 28th August 2017. The show will be available on both Blu-ray and DVD formats, however unlike Arslan and Seraph the show will have a slightly different special release; it’ll have an amaray case, cardboard slipcase and a couple artcards with a lower suggested retail price. The show is also only in Japanese audio with English subtitles which may have been the factor for this release. If you can’t wait that long, the show is available to stream on Funimation while its second season is available on Crunchyroll. 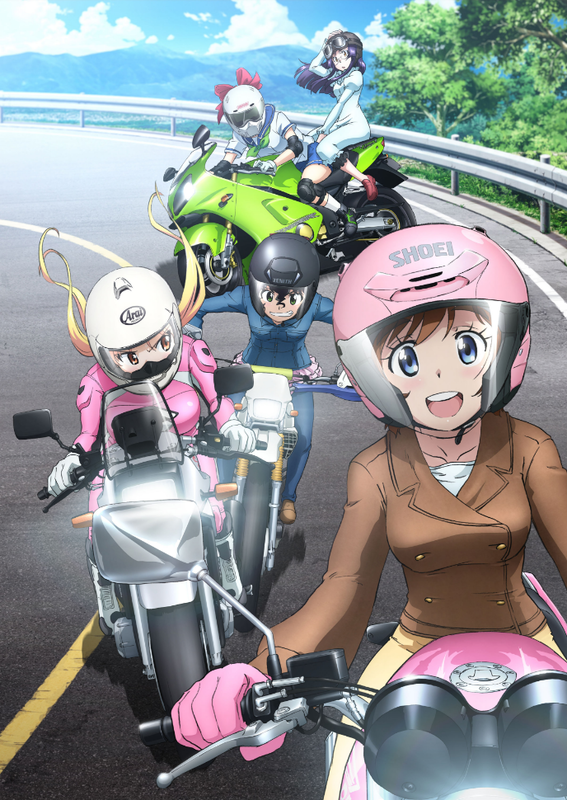 Next up is Bakuon!! which will also be released on 28th August 2017 and share similar treatment to STARMYU. The series will be available on both Blu-ray and DVD formats with an amaray case, cardboard slipcase and couple artcards. 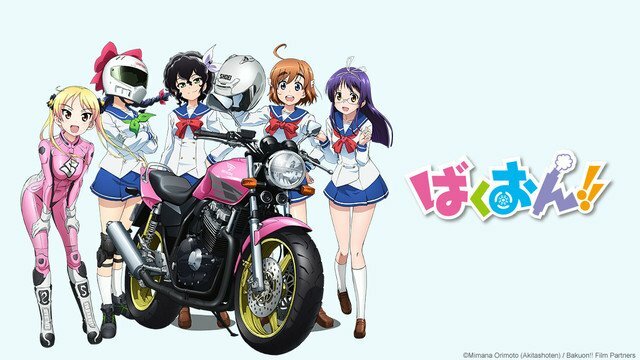 Like STARMYU, Bakuon!! is also only available in Japanese audio with English subtitles. The series is available to stream on The Anime Network and Crunchyroll. Coming up on 28th September 2017 is the complete set for And You Thought There Is Never a Girl Online?, also known as Netoge no Yome wa Onnanoko ja Nai to Omotta?, with both English and Japanese audio with English subtitles available. The show will be released on both Blu-ray and DVD formats in collector’s edition type sets. Details are not final for the time being but it is supposedly going to include an artbook and artcards. The show is available to stream on Funimation. Also going to be released on 28th September 2017 is the second season of Arslan with The Heroic Legend of Arslan: Dust Storm Dance, the 8 episode arc continuing the events that occurred in the first season. The show will be released on both Blu-ray and DVD formats in collector’s edition sets matching similar content to the first season’s release. It will be available in English and Japanese audio with English subtitles. Both seasons of the show are available to stream on Funimation. In addition to the previous two, standard edition complete series sets will be available for both The Heroic Legend of Arslan and Seraph of the End for Blu-ray and DVD on 28th September 2017. Both shows will simply be an amaray case. Looking ahead even further down the line we have the first season of the 2016 adaptation of Berserk heading to both Blu-ray and DVD formats in collector’s edition sets on 4th December 2017. Details are currently not final for the time being but it’s likely to include content similar to Arslan and Seraph. The show will include both English and Japanese audio with English subtitles. You can check out the show on Crunchyroll in Japanese and Funimation in English. A little later after Berserk is the complete set for Drifters. Much like Berserk it’s currently early stages for the time being but it’s expected to share similar content for the Blu-ray and DVD collector’s edition formats. The show will be available with English and Japanese audio with English subtitles, and you can watch the series on Crunchyroll in Japanese and Funimation in English. Last but not least Universal have also acquired the home video rights to the rather lewd Seven Mortal Sins series (which is often confused with The Seven Deadly Sins manga series because of the Japanese name; Sin: Nanatsu no Taizai) that is currently airing on both Crunchyroll in Japanese and Funimation in English. Note that the simulcasts are currently showing the censored versions due to licensing restrictions. And that concludes Universal’s line-up for the time being, a few surprises were revealed but nevertheless it’s a good haul for the distributor.